It’s finally here! The BIG DAY is here! YIPPEEE! It’s been so hard to keep this under wraps! 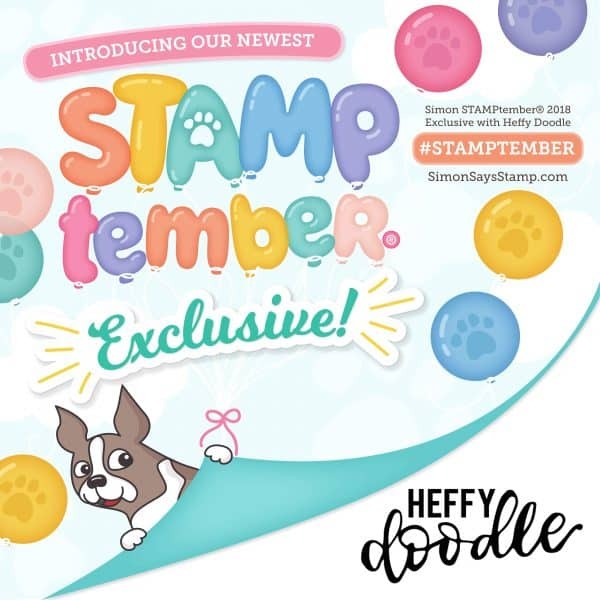 That’s right – today is the day that Simon Says Stamp reveals the exclusive STAMPtember Heffy Doodle stamp set! EKK! Let’s take a look! 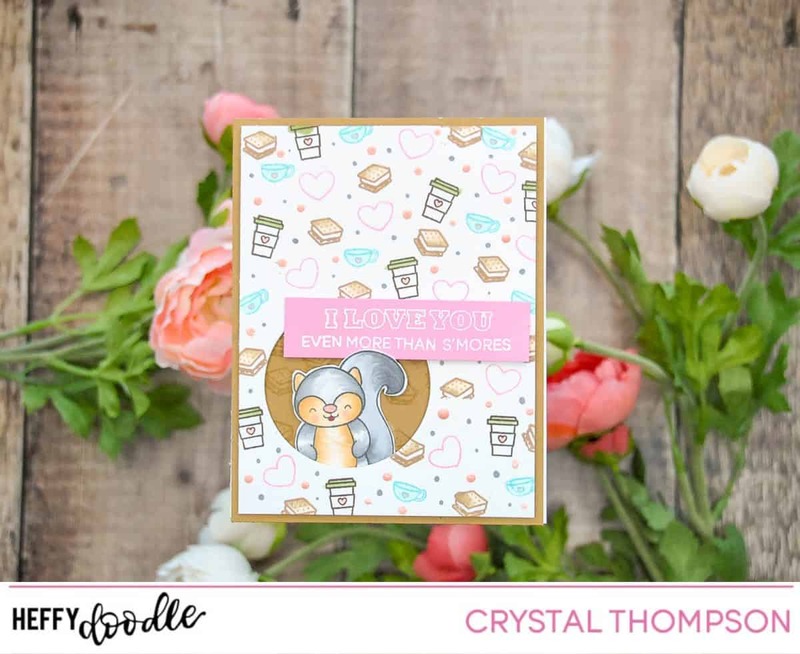 Say HELLO to ‘More Than S’mores’ – the exclusive stamp set which is only available at Simon Says Stamp, and only whilst stocks last! You are going to want to snap this up quick because when they are gone, they are gone. 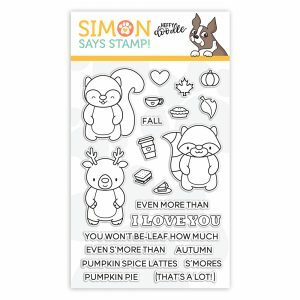 There is also the option of coordinating dies for this set – hop on over to Simon Says Stamp to see the full details! 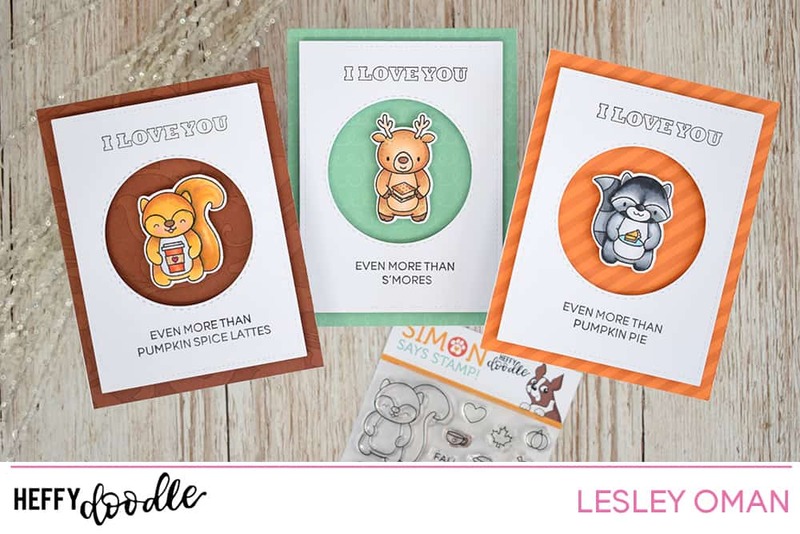 ‘More Than S’mores’ features three cute forest critters who are proclaiming just how much love they have for you. 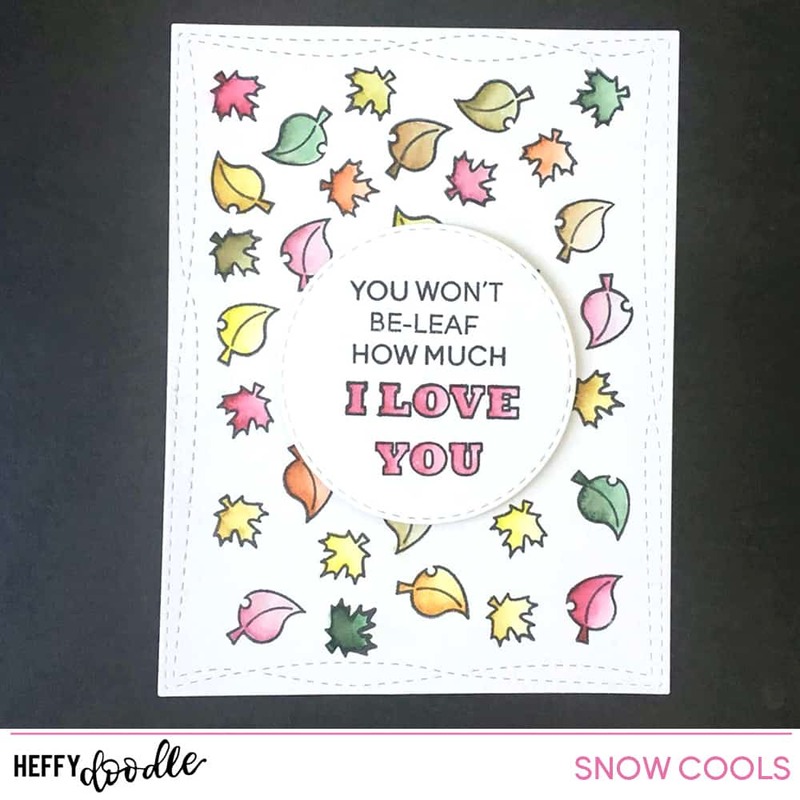 More than s’mores, more than pumpkin pie, more than PSLs… so much love you simply won’t be-LEAF it! Our amazing Design Team have been creating some fantastic inspiring projects using this set – Let’s take a look! To start off the fun, I have made a trio of CAS cards with these three cuties! There’s also a YouTube video coming soon so keep your eyes peeled! 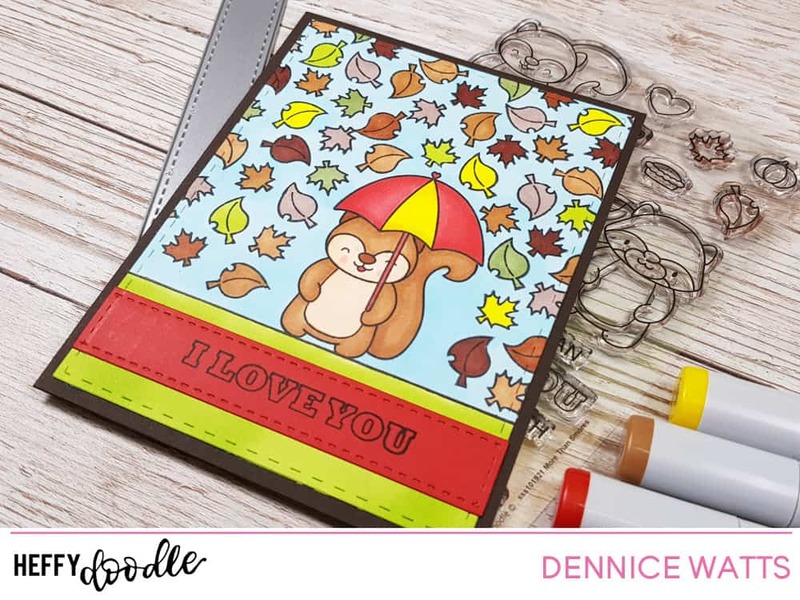 Crystal has created a colourful background for her card using the smaller images in the set! I love the pop of pink! More details on Crystal’s blog. I love the autumnal feel of this card that Sindhu has made. Those leaves make the perfect frame for this cutie! More details on Sindhu’s blog. Isha shares more rich fall colours with her gorgeous project. I love the splatter effect on the background! More details on Isha’s blog. Snow shows how to make an adorable card, even without the critters. She used Zig Clean Color makers to create a gorgeous watercolor effect to the stamped background. 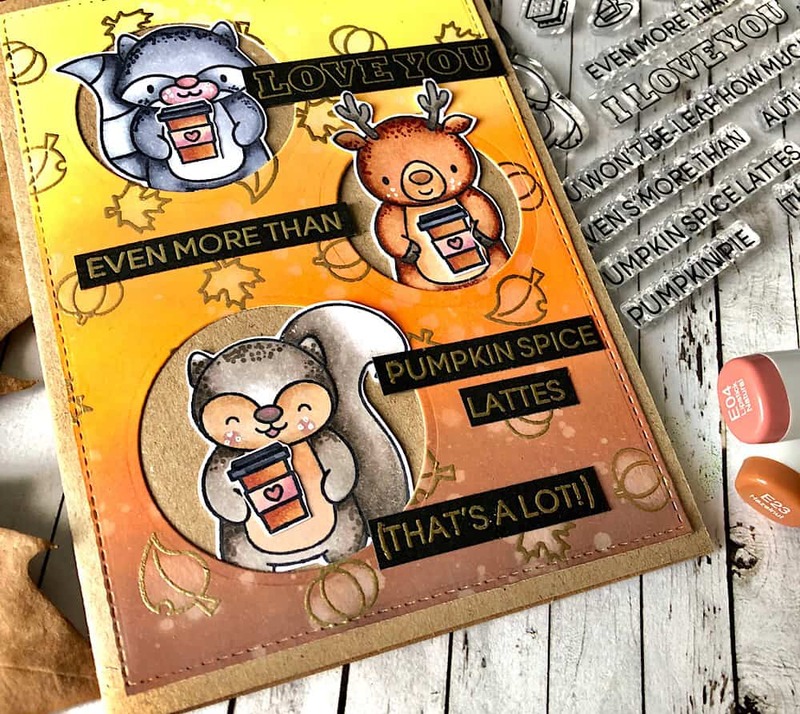 More than S’mores is not just for fall, Jessica McAfee has made this beautiful shaped card with this stamp set and the Stitched Strips of Ease dies. More details on Jessica’s blog. Looks like there’s a s’mores party going on over here on Cassie’s card. Count me in – they’re super tasty! More details on Cassie’s blog. Kelly’s critters are frolicking in the forest today too! More details over on Kelly’s blog. Autumn really is my favourite time of year. I pretty much look as happy as this lil critter when I walk through a veil of falling leaves. Take a closer look at this card over on Dennice’s blog. 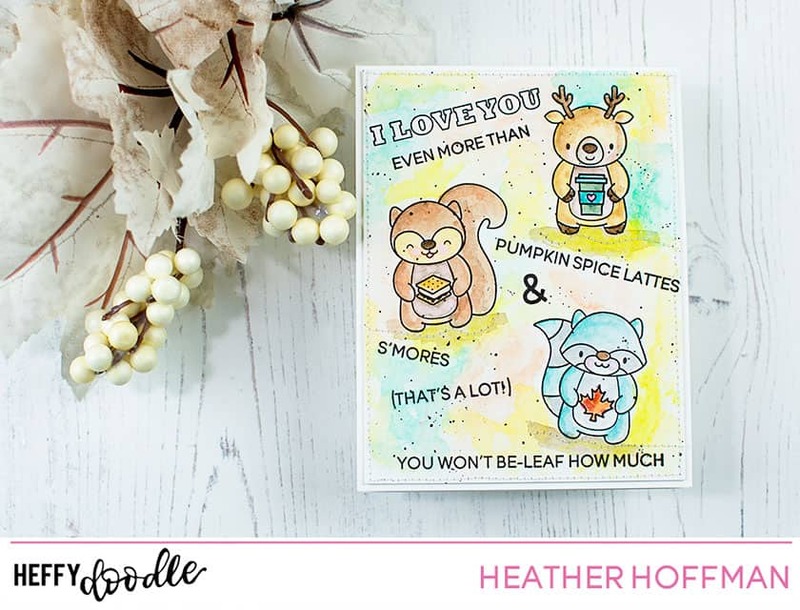 Heather adds splashes of colour with this fun card using the stamp set. The loose colouring gives such a fun, whimsical feel. More details over on Heather’s blog. This little cheeky chappie looks like he is enjoying his coffee as he kicks around some fallen leaves! More details over on Jessica’s blog. I love the way Ali has used the gold embossing powder on the background images – doesn’t it pop against the rich coloured background? Ali’s blog has more details. There you have it Heffy Doodlers! 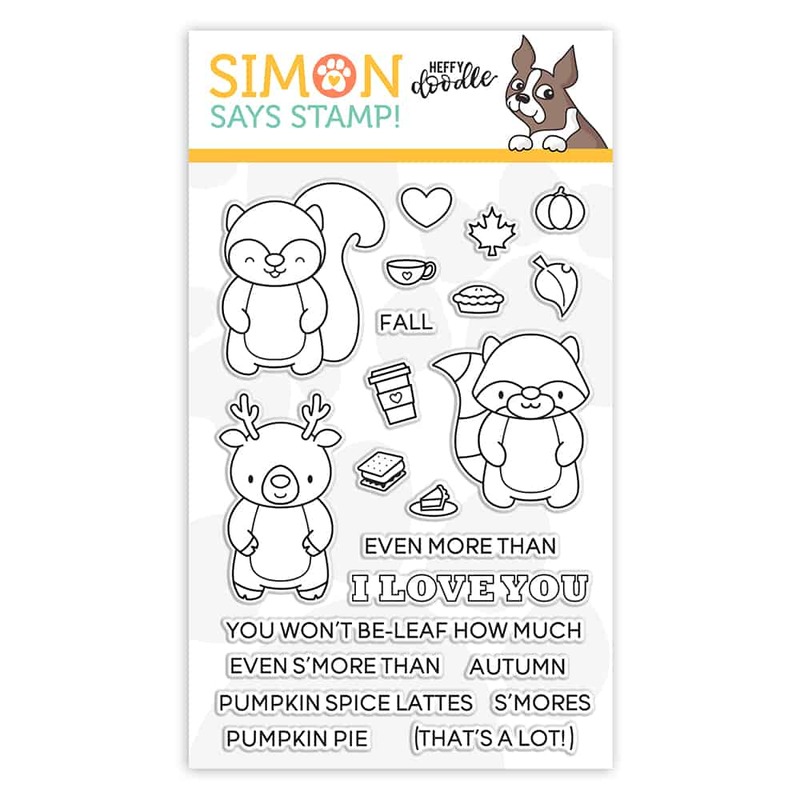 The new and exclusive ‘More Than S’mores’ stamp set, available only at Simon Says Stamp. Grab it whilst it’s still available! Leave us a comment to let us know your thoughts, and be sure to check out all the other Heffy Doodle goodies over at our store. Oh, and I almost forgot, for the next three days the Heffy Doodle store will be offering free shipping worldwide when you use the coupon code SMORES. 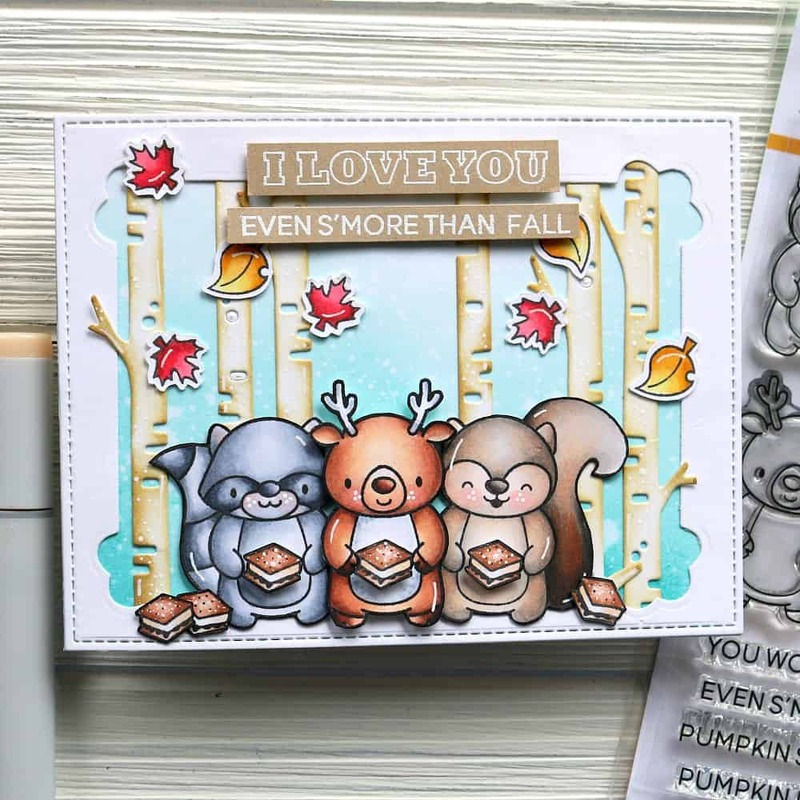 Be sure to keep an eye on our YouTube and Instagram channels for more inspiration using the More Than S’more STAMPtember exclusive set over the next week or so. Happy Crafting everyone – and HAPPY STAMPtember!!! Oh how CUTE!!!!! Love all the fabulous inspiration! I’m so happy that I found Heffy Doodle via Simon Says Stamp. 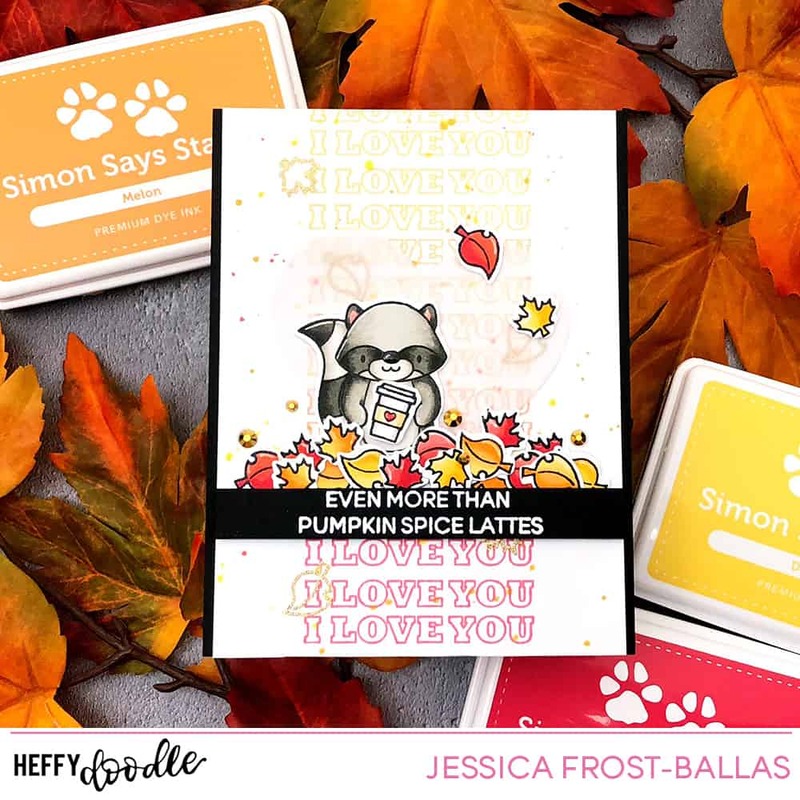 I specifically purchased a new Heffy Doodle stamp set so that I could play along in the SSS STAMPtember Heffy Doodle challenge. I’d love to have y’all stop by to take a peek. I love my new stamp set!